Pulaski Furniture is renowned for their beautiful, heirloom quality curio cabinets. 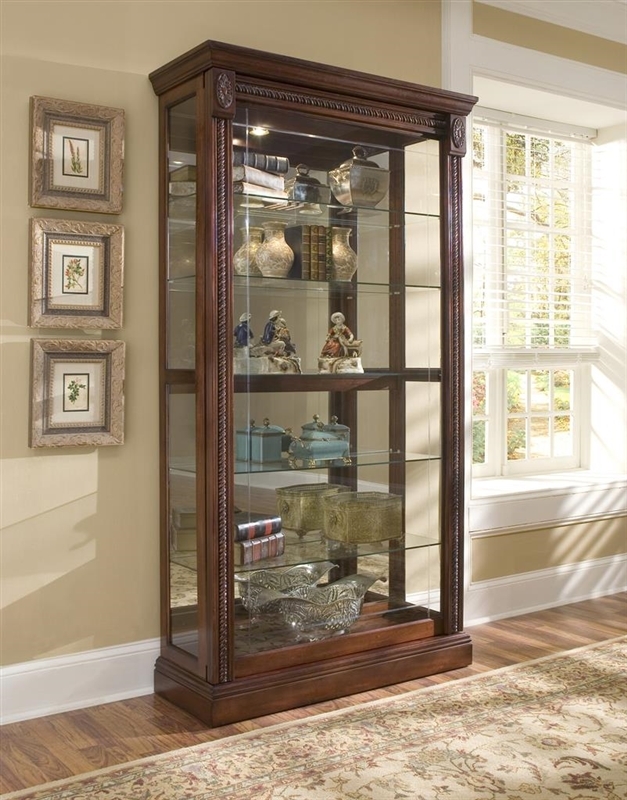 Their large selection of styles and colors makes it easy to find the perfect display cabinet for your home. However, they have also utilized their furniture building expertise to produce impressive bedroom and dining room furniture. If you need a curio cabinet, Pulaski is the place to go, but be sure to also check out all of their distinctive furniture collections. Check out the links below for more information about Pulaski Furniture. Please note that we carry Pulaski Furniture primarily as a special order brand.